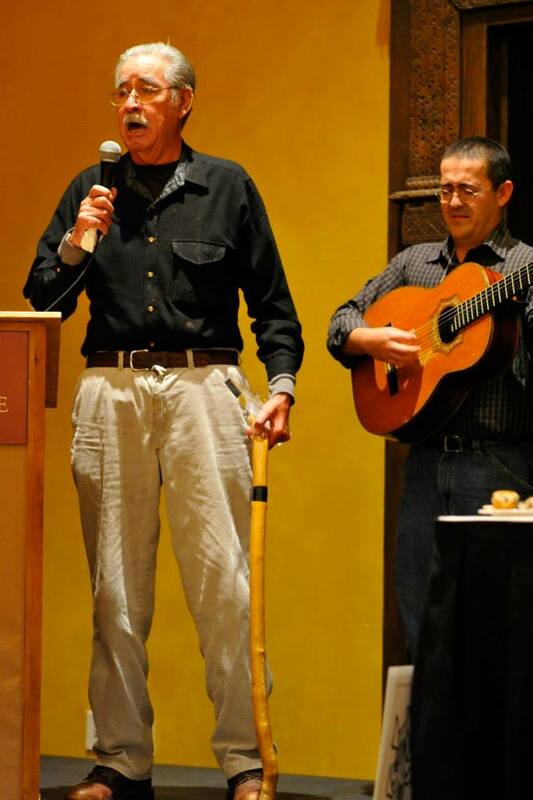 The Board of Regents of New Mexico Highlands University unanimously approved naming the social work building at the university after the late Facundo Valdez, a long-time community leader who served on the Concilio of the New Mexico Acequia Association for many years. He had also been honored by the NMAA for with the 2014 Lifetime Achievement Award for his lifelong devotion to his community and for his many years of distinguished service as an educator, community organizer, counselor, and a strong voice for social justice. Facundo Valdez was well known for his university career in which he played a major role in the establishment of bachelor's and master's degree programs in social work at New Mexico Highlands University and was instrumental in recruiting Hispanic and Native American faculty. Prior to that, he was a service provider for at-risk youth, migrants, and low-income families for various agencies and non-profit organizations. Valdez worked to establish mental health services in a seven county area through Sangre de Cristo Community Mental Health Programs in the 1980s as part of a commitment to promote the health and well-being of the people of the region. He was also a founding member of the National Council of La Raza and was a long-time board member for the Con Alma Foundation. In the words of his friend and colleague, Antonio Medina, "Facundo [era] un gran maestro y hijo del pueblo… Facundo [was] a great teacher and a son of the people." In addition to his long career in public service, Valdez was highly regarded as a person who can speak about the spiritual consciousness and meaning in the aspirations and struggles of everyday life in northern New Mexico. Facundo was a well-known folk historian and was often consulted on the economic and political history of northern New Mexico. In addition to offering astute critiques of the local and global political economy, he used art and humor to communicate his message. Facundo was brilliant in the use of storytelling, poetry, and music to illuminate complex social and economic situations. He often broke into song, a capella, reaching into deep memory to share a corrido, or Mexican folk ballad. One of his favorite sayings was, "the big fish will always eat the little fish," which was his polemic often urging people to organize to fight for justice and fairness. He had a compassionate heart and he always spoke up for the most vulnerable. NMAA wishes to thank New Mexico Highlands University for honoring "un hijo del pueblo" so that his memory can serve as an inspiration to those who pursue an education at NMHU with the resolve to serve with the spirit of Facundo Valdez, with compassion and deep conviction.